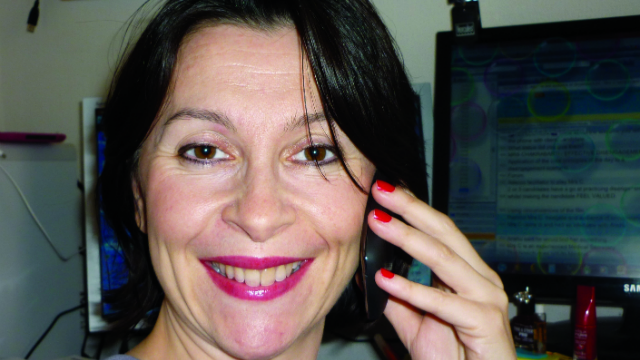 Carine Toucand MCIL CL specialises in medical translation from English and Italian into French, and is Owner of Novaug language consultancy. She talks about the impact of languages on her life and career in her native French for our series of members' profiles. For the original French version, see The Linguist 54,4. "I fell in love with languages at secondary school in Paris. My Spanish teacher was a gem and she really communicated her passion for Spanish culture to me. I went on to study Italian and Russian at university, and spent some time in Rome before moving to the UK, as English was an important language to have on your CV. I toyed with the idea of becoming a teacher but chose to train as a legal secretary and to specialise in intellectual property law so I could use my languages in a professional setting. I worked as a PA in London for a few years and my position involved a fair bit of interpreting and translating. I really enjoyed it, so I eventually left my job and spent a year doing a Master’s in Translation. After that I worked in-house as a translation project manager and translator from Italian and English into French. I was in charge of various projects involving my languages, as well as Turkish, which I started to learn then and still enjoy today. After my daughters were born I went freelance. I was particularly interested in medical translation and as I specialised in intellectual property my work slowly moved from legal documents to patents and medical patents. I now work mainly on medical translations. I would not change my career for anything. I now run my own company, Novaug Ltd. We focus on terminology to help linguists and streamline the translation process. I am planning to do an MRes on the subject next year, and hoping to expand my research into a PhD after that. I am obsessed with languages and words, and love paleography (the study of ancient and historical handwriting). I tend to spend the little spare time I have with my head in a book, brushing up on my Latin or Turkish."